Not many players can retire hoisting the Lombardi trophy above their head. But for the Sheriff, it was the only plausible way for him to walk away from the game he dedicated 18 years to. Peyton Manning bows out of the game a true legend of the NFL. A bonafide star, Manning was selected first overall in the 1998 draft by the Indianapolis Colts. Being taken first in the draft is daunting for anyone but when your task is to lead the franchise to SuperBowl glory, the pressure increases tenfold. But Manning could handle the pressure and in his rookie season, passing for 3,739 yards with 26 touchdowns and set five different NFL rookie records, including most touchdown passes in a season and was named to the NFL All-Rookie First Team. His first Superbowl ring came in 2006 – just eight years after joining the NFL – beating the Chigaco Bears 29-17. 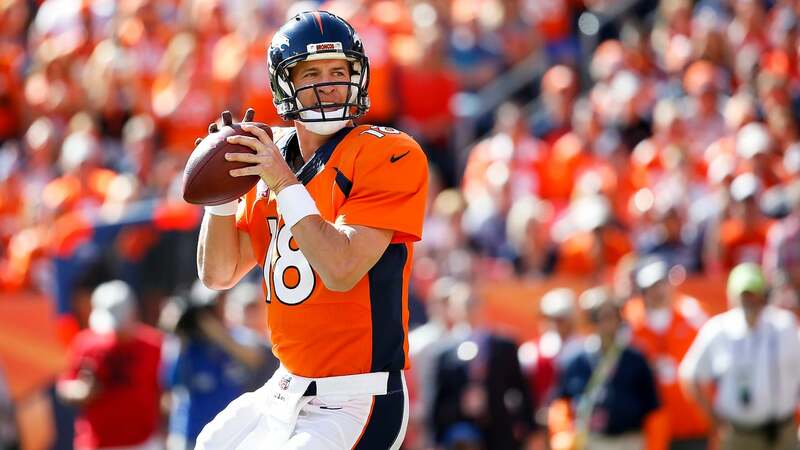 Manning lost time on the field in 2011 after having spinal fusion surgery, at which point his arm strength had significantly diminished. However, Manning didn’t need to launch the ball 60 yards to beat you. All he needed was his brain and his destructive no-huddle offence to beat any team – and that he did. Manning said goodbye to the Colts in 2012, with the franchise retiring his number 18 jersey, and though I was still a few years away from watching him play, highlight videos don’t do him justice. His quick reads and ability to put the ball exactly where his receiver needed it to be made him deadly. Watching him calmly stride to the line, look out at the defence before yelling “OMAHA, OMAHA,” is truly brilliant. He knew exactly what the defence was going to do just by seeing the personnel on the field. While that’s page one in the Quarterback for Dummies Guide, few could do it with the precision and accuracy that he did. Denver acquired the hottest free agent of that year. A year later and they had seen a return on their investment as Manning led them to the SuperBowl. However, his Broncos side were destroyed by the Seattle Seahawks, with the Legion of Boom eating Manning for breakfast, lunch and dinner, and many felt Manning’s time as an NFL quarterback had come to an end. The Sheriff disagreed and the following season threw his 500th career touchdown pass, as well as tying Dan Marino for the most 400 yard games by a quarterback. He went on to throw his 509th career touchdown pass, passing Brett Favre to become the NFL’s all-time leader in passing touchdowns. Manning was stock-piling records for fun but couldn’t pick up that elusive second ring. In 2015, he broke Brett Favre’s record for career passing yards but looked like a spent force and was benched for up and coming talent Brock Osweiler. Just when everyone thought Manning would fade into the background, the Broncos made the play-offs and in came the Sheriff. Leading his team to the final, Manning played his part in defeating the Carolina Panthers to win his second SuperBowl. That was to be it for Manning, serial record-holder and one of the greatest players to line up under centre. His battles with Tom Brady will go down as one of the best rivalries the sport has even seen. It was never about the money or the fame for Manning, it was about the beautiful game of football. How we will miss number 18 yelling Omaha under the bright lights on the Gridiron.